I presented this paper day before yesterday at All India Management Association. I shall be embedding the presentation I made using Prezi in my next post. The first decade of the twenty first century has been quite remarkable for India Inc. as it heralded its resurgence as the cynosure of the world along with China, spurred by globalization and information technology. The most fascinating aspect of this riches to rags to riches story is the way it arrived at the right moment, realizing its innate strengths developed in her tryst with the forces of history, to lead the way in these interesting times. Interesting is infact an understatement to explain the bewildering changes happening across India and the world. Something has fundamentally changed all over the world. Although we see feeble signs of change across the isolated corners of India Inc, it would be dangerous to label them as aberrant behavior across the fringes. The traditional rules of business, sanctified by the collective wisdom of the previous centuries, are getting desecrated and we are coming across blasphemous rules for doing business. Digital revolution is devouring the big-fat entertaiment monarchs which have thrived parasitically on Intellectual property. Several consumer giants are finding themselves enmeshed in ecosystems like Internet over which they have no control. Several Indian Brands are slowly waking up to the world of real-time, pay-for-performance advertising. They are realizing that consumers have enormous power to decide the fate of brands. The Indian market place is seeing hordes of ultra- low cost competitors who are audaciously taking over multinational behemoths. Take the case of Hindustan Unilever Ltd. Its net profit fell 1.84% to Rs533.2 crore. The operating profit too was flat at Rs741.5 crore. [i] It has been facing huge competition in its detergent business from a reinvigorated Procter & Gamble, leave alone others like Nirma and Ghadi detergent in the lower price segments. ITC is growing up to be a formidable rival. “Who is your competitor” has become quite like Ships of Theseus paradox. Ø Who sells the largest number of cameras in India? Ø Who runs the biggest music business in India? If this weren’t enough, strategy life cycles are shrinking. Nokia market share in India fell from 56.2% share in 2008 to 54.1% in 2009. Local players have grabbed 17.5% market share [from 0.9%, a year back]. Only 5 local manufacturers in 2008 and the number stands at 28 now! [iii] Nokia missed the smart phone bus earlier and now the dual sim technology. The writing is clear on the wall: Its high time big, fat companies get nimble, as we move into a highly competitive marketplace. Twenty first century has brought about a tsunamic change in the way people and businesses communicate and access information. We are living in a highly transparent, networked world deluged by information. This has strong implications for the future of management. The management institutions we’ve built over the years cannot cope with radically interdependent, post-industrial, information-based economy. CEOs have to realize that employees no longer have knot-hole view of company and hence cannot be treated like immature adolescents. The objective of this paper is to showcase an age-old perspective which helps in seeing this complex reality in the right context. Although it can be applied to every sphere of human life, we are focusing on business and its implications in understanding the management and organizational challenges in India. This would help us to understand these challenges with absolute clarity. Once this clarity sets in, it isn’t difficult to find solution to these challenges. 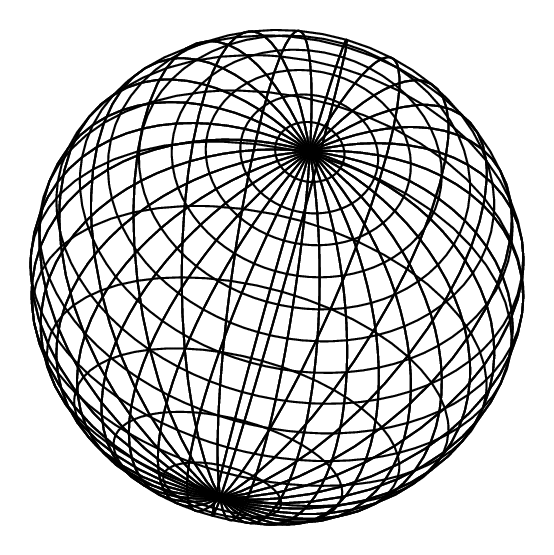 Sphere: defn- A three-dimensional surface, all points of which are equidistant from a fixed point. Spherical thinking is the greatest gift India offers to the world of philosophy.Indian folklore helps us understand this easily. Unlike European fairy tales which had clear beginnings (once upon a time), and clear endings, (happily ever after), classical Indian fairy stories such as Suka-saptati, Betal-pachisi, Simhasan-battisi, had endings that invariably curved back to the beginning [v] Sphericity has been integral aspect of Indian way of life. Bhagavad Gita offers also several examples of spherical thinking. As a symbolic representation of three-dimensional space, the sphere encompasses all things knowable—the atom, the cell, the earth, the sky and the universe. In the world of time; the circle represents the beginning, the end and a return to the beginning.The sphere and the circle represent both the journey and the destination.What is it that makes it so pervasive and so mighty? Why does it appear with such regularity and prominence in every culture, region, faith and epoch? Because, when thinking about the sphere, or when using it to describe our experience, we are contemplating the totality of interconnection. In the sphere, we see everything in relationship to everything else. 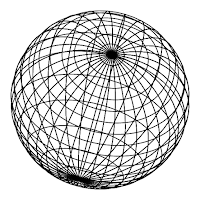 Sphere is an elegant metaphor that could help us in understanding the complex reality and designing the organizations of the future. If we look at businesses as a sphere, with its nodes defined across a wide spectrum ranging from strategic business units to data points, depending on the level of granularity required, our understanding becomes profound and we begin to understand the inter-connected nature of business. We start to have a concept of whole. Imagine every company to exist at the center of this sphere of business, represented as a concentric circle in 2-D view. The organization is standing naked at the centre. The periphery of the circle is defined by stakeholders who define the raison d’etre of the organization. Although the idea of stakeholders’ has been in management for ages, it has acquired a whole new meaning altogether in a networked world. In “A Behavioural theory of the Firm” (1963) Cyert and March argued the goals of an organisation are a compromise between members of a coalition made up of the stakeholders. The outcome of decision making is a compromise or “trade off” between the interests of the various stakeholder groups. Such a trade-off is not possible now as every stakeholder has gained enough muscle, thanks to information explosion, to warrant equal importance. Companies cannot afford to take any single stakeholder for granted. BP’s oil spill fiasco and the collosal PR damage which ensued show us how devastating it could turn out to be for companies in such unforeseen, arguably unintended circumstances. The inner core-circle points out an ideal organization which maintains an effective relationship with every stakeholder, with its relationship line remaining equidistant from every stakeholder, thus achieving a near-utopian benchmark for companies to achieve. This relationship structure has strong implications on the way risk management will be defined in the future. The red-line indicates the current state of the organizations with varying relationship levels with gamut of stakeholders. Companies are striving to exist in the core-circle. This perspective also helps us in understanding the myopic vision of companies when they followed “maximisation of shareholders” maxim religiously. The global financial crisis of 2008 stood as an epitaph on the grave of this creed. What about Indian companies, which are predominantly owned by business-families? Although in first brush, this spherical perspective might seem like an impossible fantasy, let us not ignore the winds of change. Family ownership presents a unique challenge as company owners get emotionally attached to the companies. Satyam Fraud brought about uncomfortable questions on the role of Independent directors. With the strong winds of change blowing across India Inc, companies would be left with no option but to move towards professional management, thus clearly demarcating ownership and management. Sustainability arose as the manifest expression of this perspective as it grew up to become the grammar which defined the way businesses are supposed to be done. A simple analysis of the global sustainability reports submitted shows the shift that is happening across the world and India. The numbers, indicating the total number of companies which have obtained the sustainability reports, clearly highlights the growing importance towards sustainability. Before we delve deeper into the sphericity perspective, let us ask ourselves a fundamental question. Organisations are social structures that are shaped by relationships among actors within their social systems. They were designed to ensure that the objectives of management were fulfilled. Alfred Chandler got us to understand that there is a fundamental infrastructure that enabled us to transport goods with amazing efficiency and organizational architectures built up to leverage the fundamental infrastructure of the 20th century. This structure was well equipped to solve problems of scale and efficiency. The most fundamental aspect of this structure was that responsibility and authority were concentrated at the apex of the organization with power flowing from top to bottom. These structures were initially designed to suit the environment that was characterised by the post-war industrial Era. Therein lies the crux of the problem. While the environment has undergone a tectonic shift, our structures still remain fossils of the bygone era. We have outgrown the Industrial age paradigm which helped build the corporations of the twentieth century. The principles of specialization, hierarchy, control, and primacy of shareholder interests, which stood as the cornerstone of the previous Era have now become stumbling blocks in the evolution of companies. The biggest causalty are dispirited employees whose infinite potenital lies untapped. These antiquated principles of management need to be jettisoned before we begin to conceptualize the organization of the future. The implications of this architecture are mind-boggling. Power is granted from below. What about discipline and direction? The influencive power of networks sublimates the power of hierarchy. A strong built-in, peer-network ensures accountability for actions, thus ensuring that the freedom doesn’t descend into operational anarchy. Ø Leaders have no titles. Capability counts for more than credentials and titles. Leader has to garner influence by demonstrating a capacity to get things done and excelling as a team builder. This ensures that leadership energy is drawn from the value offered by the individual to the organization. Nobody needs to be bossed around. This builds a high level of trust as commitment is voluntary. The biggest advantage of this structure being, it provides the right environment for every employee to be innovative. It makes innovation democratic as employees are empowered to take the best decisions. Companies in the previous era made innovation an elitist job, to be pursued only by the upper echelons of the management. Human work force of the twenty first century grew up in the meritorious world of Internet. They are creative and passionate. They don’t respond to marketing but movements, not to information but inspiration. They will not put up with only 20% engagement in the workplace.To engage and retain this next generation, the corporation will have to fundamentally morph the way they manage them. When a spherical view of life exists, humans are driven by a larger purpose far beyond the materialism which governs the lives. Through the centuries, millions of lives have been transformed by the sense of significance that drives extra-ordinary individuals’ lives. The same holds true for corporations. All the successful companies in the twenty first century have been driven by a sense of purpose. In a world of here today, gone tomorrow ephemera, it’s not easy to find something that merits self-renewal. [viii]Googlers revel in their capacity to democratize knowledge. While Zappos.com sells and delivers shoes to customers through Internet, its employees are driven by the passion to deliver happiness across the world. What higher puprose does your company serve? The answer to this question gives the key to create adaptable organizations. Everyone knows that in most cases, a lot of people are smarter than a few people. That’s why most of us would rather live in a democracy than dictatorship, and prefer open markets to central planning. Yet, if you think about how decisions are made in large companies, you could be forgiven for believing that executives have a predilection for authoritarian systems and command economies. [ix] Why are executives not ready to harness the collective wisdom of their employees? May be it’s because they feel it would undermine the rational for their straspheric salaries. More often than not, it hits the ego of the top brass executive who often takes the decision. In any company, there’s always a large reservoir of information that can’t be shared. Those bits of intelligence often don’t show up in the statistics that informed top management’s decisions. A crowd not only has access to the ususal sorts of data, but it can leverage also information that never shows up in a formal report. This can be very well implemented in highly chaotic market places where there are multitudes of data points. Indian Retail has been posing several challenges for several players due to its disorderness. Indian Retail majors, with their expansive networks, can harness the power of the crowd and build superior forecasting systems. Isnt it weird that corporations we have built are less human than us, less adaptable, less engaging, less creative? No wonder we keep pondering and debating over organizational and management challenges. You cannot create a company for the future unless it’s made for the human being. Management revolution has begun.